David Wagner remained upbeat about Huddersfield's prospects despite seeing their winless run in the Premier League extended to seven games following a 2-0 defeat to Spurs. 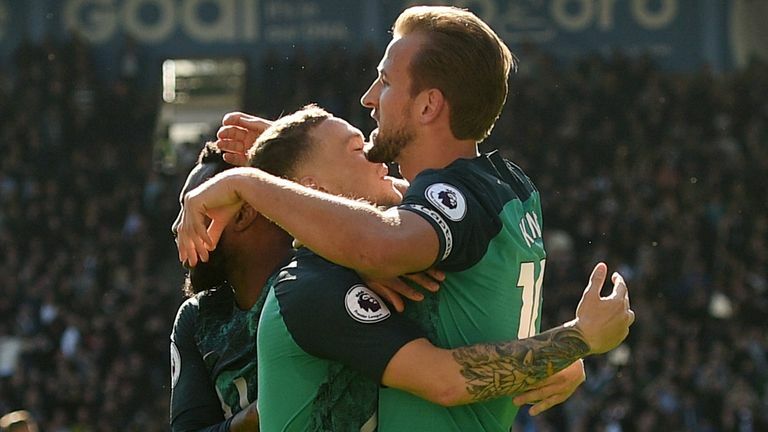 Backed by a buoyant home crowd, Huddersfield started off brightly but goals from Harry Kane after 25 and 34 minutes effectively ended the contest. 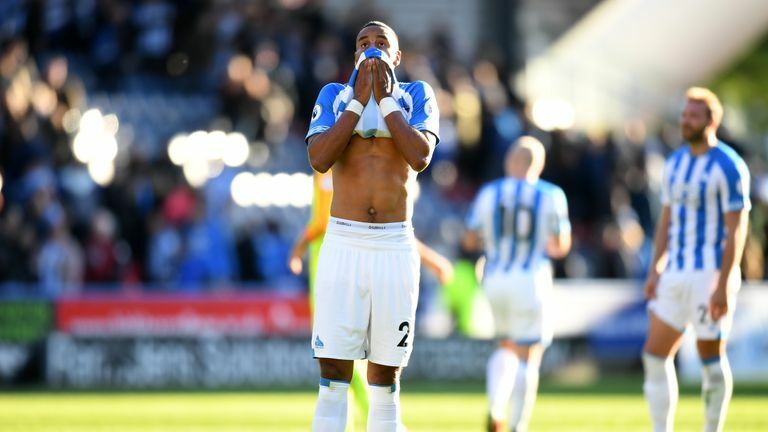 Huddersfield have taken just two points this season and remain rooted to the foot of the table - yet Wagner insisted that they will start picking up results if they maintain their level of performance. When asked whether he had any complaints over the result, Wagner said: "Results-wise of course, performance-wise, I think the atmosphere we hosted today in our stadium speaks for itself. You will not often find supporters who support their team like our supporters have today. "They have only done this because they have seen and they have felt that the players left everything on the grass and they tried everything. The guys gave everything, they had a real go, they fought, they stuck together and played well. "Consistently we're performing very well in games and in training and I'm completely fine with our performances. It's all about performing, working hard and then you will get your rewards, sooner or later. "The players believe in what they are doing and believe in their potential and their talent. They tried until the final whistle. I'm unsure if the first or second half was better from our side, it isn't normal that a team who plays Tottenham and are not in the top six plays like we did today. David Wagner could not fault his players for their performance despite losing 2-0 at home to Tottenham. Wagner feels that if they continue to play how they did against Spurs, then the results will follow. "There is a lack of goals, that is obvious. We have to be focused on our work, on the next opportunity, the next game." There was a contentious moment in the opening stages of the game when Chris Lowe appeared to be upended on the edge of the box, with Huddersfield claiming his foot was on the line of the penalty area and therefore that a spot-kick should have been awarded. Wagner lamented Craig Pawson's decision and claimed it was more of a clear-cut situation than Spurs' penalty award when Florent Hadergjonaj was adjudged to have fouled Danny Rose. 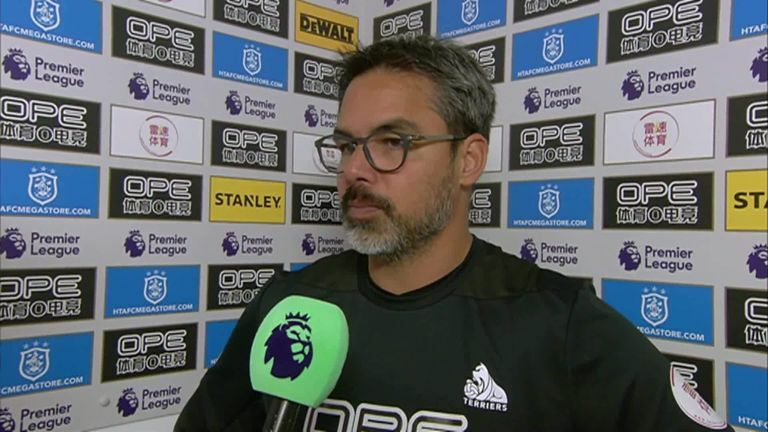 Matt Le Tissier agreed that it could be 'Mission Impossible' for David Wagner and Huddersfield after watching their 2-0 home defeat to Tottenham. "The penalty we conceded was a soft one and on the other side we had a clear situation where Chris Lowe got fouled," he added. "We can discuss whether this was inside our outside the box but it was a clear foul and from my point of view it was less soft than the penalty and we didn't get this foul in our favour."